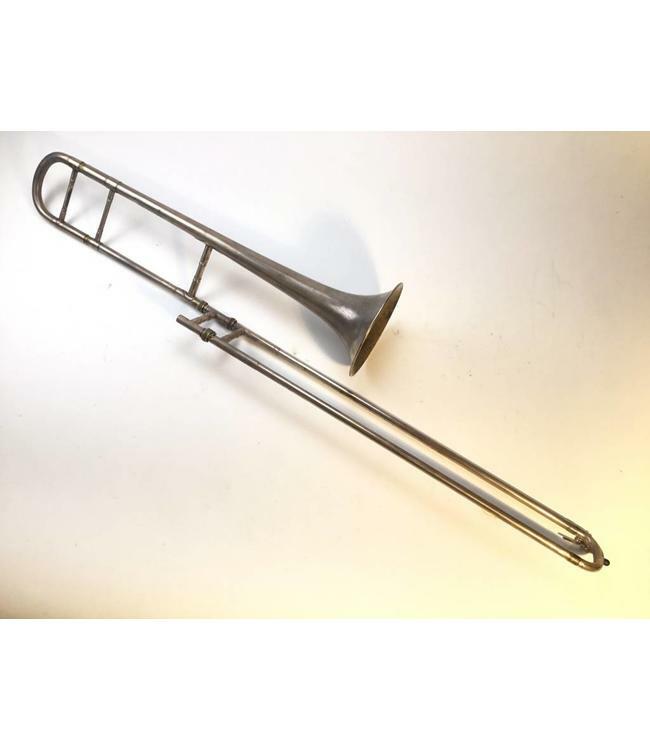 Used Conn 4H Professional Tenor Trombone in silver plate. .485" bore hand slide, 6.5" gold wash interior bell flare. Instrument is in good condition apart from dings in tuning slide, minor plating wear at contact points and very minor plating loss at very end of one inner slide tube. Comes with case.